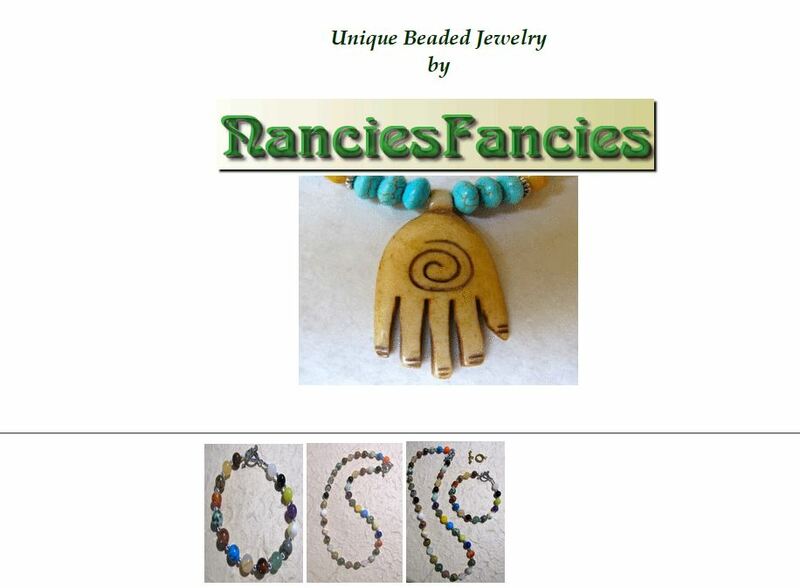 Beaded Jewelry by NanciesFancies is unique and mostly one-of-a-kind. My beaded jewelry is handcrafted with gemstone, crystals, pearls, glass and porcelain beads. I feature sewing and quilting charm beaded bracelets, beaded scissor tails as well as a full line of beaded jewelry – including beaded necklaces, beaded earrings, beaded bracelets, beaded anklets, beaded eyeglass chains, beaded watches and many beaded gift items. Also available is a variety of charm bracelets-casino/gambling, teacher, nurse, sewing and quilting, and others. If you have something specific in mind, contact me to see if charms are available.